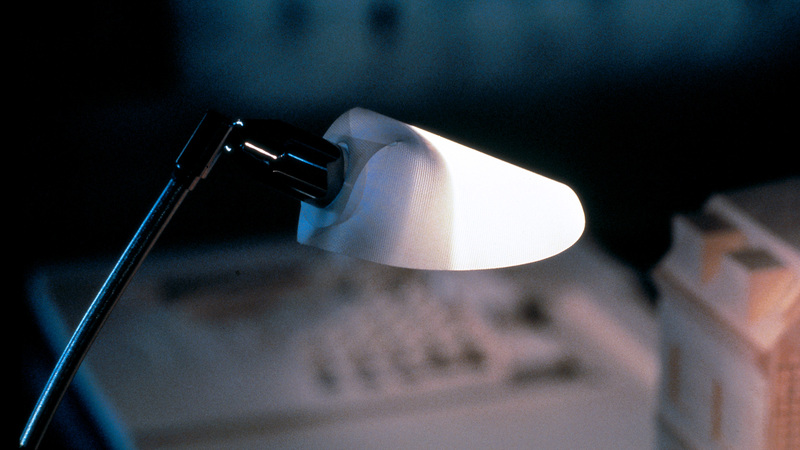 Consists of a long, gently curved arm with a tiltable halogen or LED spot. The screen is a single folding screen made of thin fibre-glass material. Special design. Production to order only. Delivery date at time of ordering.